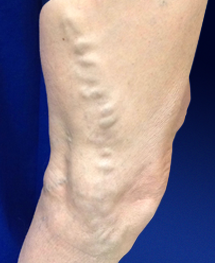 Varicose veins can be treated safely and effectively. Procedures are performed in the office with minimal down time. 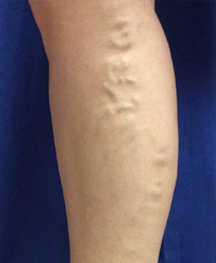 Varicose veins are twisted swollen veins you can see bulging beneath the skin. 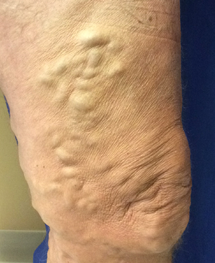 Varicose Veins affect up to 25% of ALL adults. They are caused by leaky valves in the veins which allow blood to flow backwards in the veins increasing their pressure and stretching them. 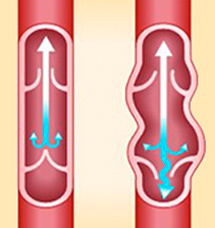 This vein stretching can cause leg pain, fatigue, itching, burning, and restless legs (see illustration to right). The increased pressure in the vein can push fluid into the surrounding tissues causing swelling, skin discoloration and even skin breakdown to form ulcers. – Varicose Veins can vary in size and location. Are varicose veins a common condition? Varicose veins are very common, affecting up to 1 in 5 adults. About 80 million Americans suffer from some form of varicose veins. 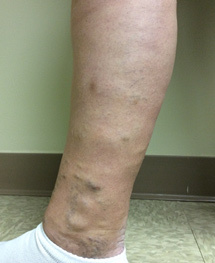 Varicose veins are more common in women than in men and are usually seen in patients between 35 and 65 years old. Genetics plays a large role in varicose veins. 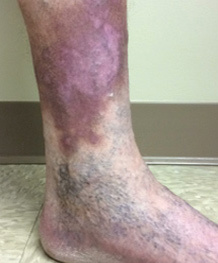 The incidence of varicose veins increases with age. Condition is likely to get worse and there is no point in suffering when you don't have to. Simple AND SAFE technique performed in the office. How do I benefit by getting treatment? 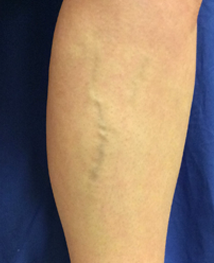 Varicose veins are primarily treated with Thermal Ablation and Phlebectomy. 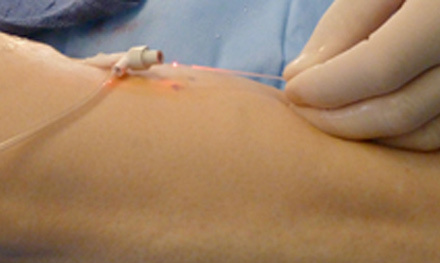 Thermal Ablation is a technique that closes the vein from the inside using heat. This is done with a special laser catheter. The procedure is performed with a local anesthetic and requires only a small needle puncture to the vein being treated. 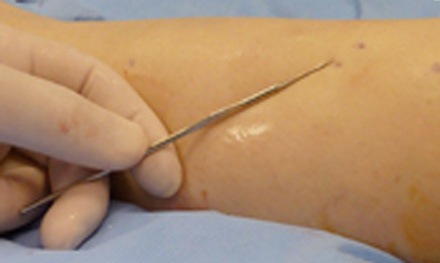 Phlebectomy is a technique where the dilated veins are gently removed through tiny incisions. The procedure is performed with a local anesthetic with immediate medical and cosmetic results. If the patient requires laser treatment as well, it often can be done as part of the same procedure.